Samsung’s long rumoured smartwatch may be unveiled as early as next month and could boast NFC as one of its many features. Bloomberg first reported that the Galaxy Gear smartwatch will make its debut on September 4, just two days before Berlin’s IFA consumer electronics show. Now technology website GigaOM is quoting unnamed sources that suggest NFC will be built-in for easy syncing of devices and authentication. 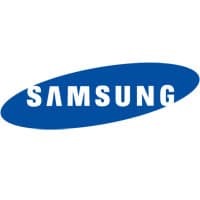 Current speculation holds that the Galaxy Gear will likely be based on Android 4.1, use Bluetooth LE to sustain a connection to the user’s smartphone and include a mini camera and 2.5-inch Oled display. The smartwatch will integrate seamlessly with a smartphone, allowing users to, for example, pick up where they left off when reading a document or message. It is also possible that the Galaxy Gear will only be compatible with Samsung smartphones.